Make First Choice your first call whether you're looking for staff or in need of a job! All your questions answered in one simple call - dial 01684 295400 for more information. Thank you for visiting First Choice's website. Here is a little bit of background about us and the service we provide. 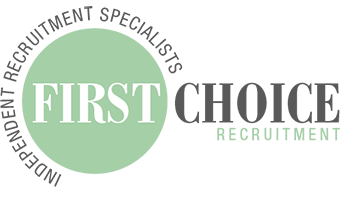 First Choice is an independent agency based in the busy market town of Tewkesbury, Gloucestershire. Our core values are professionalism, efficiency and honesty and I, along with my dedicated team of staff, have been providing recruitment services to businesses since 1995. We have vast knowledge and experience in employment, resourcing for permanent and temporary staff and supplying recruitment services to a wide selection of Companies (this includes Aerospace, Automotive, Defence, Engineering, IT & Communication Industries). Every job placement is unique and there are many factors to take into account to achieve a positive result. We understand the importance of getting the right staff for the job; we listen and take on board the needs of the employer, their business, and have a strong history of success filling jobs both in Tewkesbury and much further afield. If you are currently out of work or you are looking for a new job challenge we have many jobs in Tewkesbury and locations nearby (Cheltenham, Evesham, Pershore, Ledbury, Worcester, Gloucester). You’ve nothing to lose - there is no cost to register and we can give you advice and information that will help you find the right job for you, including writing a CV and interview techniques, and of course we’ll keep you posted on any relevant vacancies we are working on. We are here to help employers looking for staff, as well as people who are looking for work, so do please call us or pop in to our office in the High Street, Tewkesbury – we look forward to getting to know you better and to working with you towards resolving your particular employment or recruitment need. Assuring you of our best efforts and service at all times. Why Choose First Choice Recruitment? First Choice Recruitment have placed me on several temporary positions, as well as my current permanent role. They were always cheerful and friendly, and really took the time to get to know me as well as what my strengths (and weaknesses!) were. Our relationship with First Choice has been an extremely beneficial one. They have on all occasions provided a prompt, efficient, knowledgeable and friendly service supplying both permanent and temporary staff. Judy, Lorraine and the First Choice team exceed all expectations and really are ‘First Choice’ for our recruitment needs. I would like to thank you for the support you have given me during this process and wish you and your team a very Happy Christmas. It's been a real pleasure working with you. Thank you for your friendly, professional service. 'First Choice' is clearly 'second to none'! I have a long standing working relationship with Terri from First Choice Recruitment. She is the epitome of professionalism, efficient, tactful, a talent for understanding what needs to be done and just getting it done. Everything you would be looking for in a Recruitment Consultant. Thoroughly recommended by Basepoint Tewkesbury.